We are on the doorstep of the biggest tech revolution in the history of the world. This new digital universe is a virtual reality ecosystem that is a convergence of a range of exploding technologies - virtual and augmented reality, AI, cloud computing, nano, wifi penetration - to name just a few. The radical toolkit provided by VR will transform every industry and sector across the board and even create new ones along the way. Every brand and company needs to start thinking strategically now about how they port their existing business into the new VR computation platform. - What is your VR strategy? - How can you bring VR to your business to create profound solutions that will define a next generation of your companies offerings? 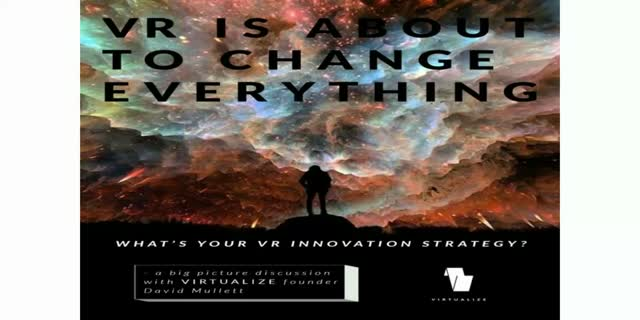 This talk will be big picture thinking around how you can 'virtualize' your brand and company with strategic VR innovation. We'll talk the types of things you need to be thinking about as we make the leap in the new virtual world web and beyond.